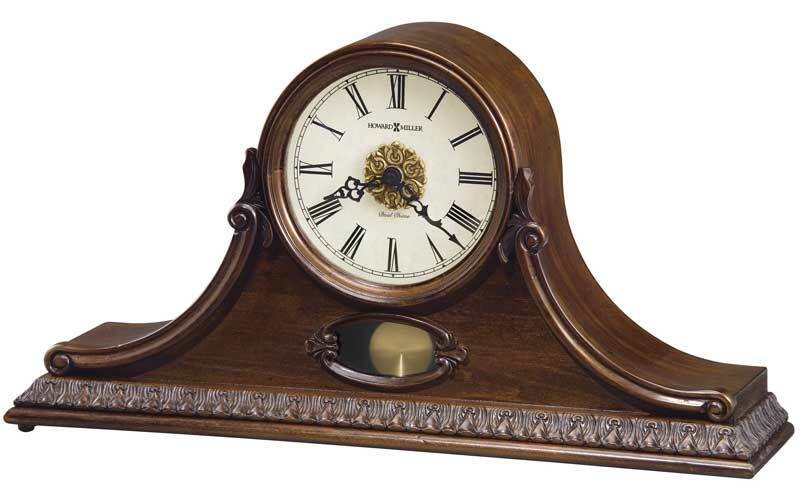 The Howard Miller Andrea is a special 81st Anniversary Edition mantel clock with decorative details and include a carved base molding, bezel and side overlays featuring a leaf pattern. 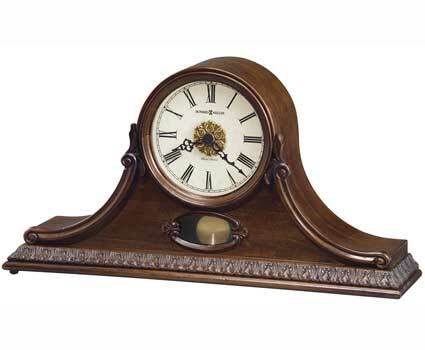 The antique brushed brass pendulum swings and is viewed through a glass window framed with a carved overlay. 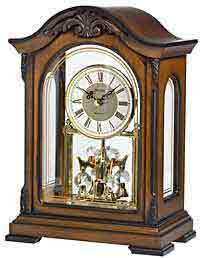 The aged dial with special Anniversary dial offering Black Roman numerals with an aged gold carved center overlay and black serpentine hands beneath a convex glass crystal. Lightly distressed finish in Hampton Cherry on select hardwoods and veneers. 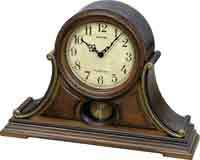 Clocks for sale at The Clock Depot including the 635-144 at discount prices.